o SelectNodes – Selects a list of nodes matches the Xpath pattern. o SelectSingleNode – Selects the first XMLNode that matches the pattern. Iterate through all the Node by using Nodes.length and NodeValue. Read the attributes by using Attribute.Length and getAttribute. Get all the values of particular type of nodes. SelectSingleNode – Selects the first XMLNode that matches the pattern. Can you post the entire Complete Code as opposed to just a snippet? Its a complete working code, just that its divided into snippets, if you copy paste the enitre code it will work ( including all snippets). Please let me know if you still need clarifications. I don’t think it is – there is no End Function in any of the snippets. After running the first snippet (Complete Code), we are not able to see the same output array. All we see are the titles of each column and no data in them. I just tested the code , its working fine for me. ‘End Function’ was removed becoz the code was getting continued in different snippets. 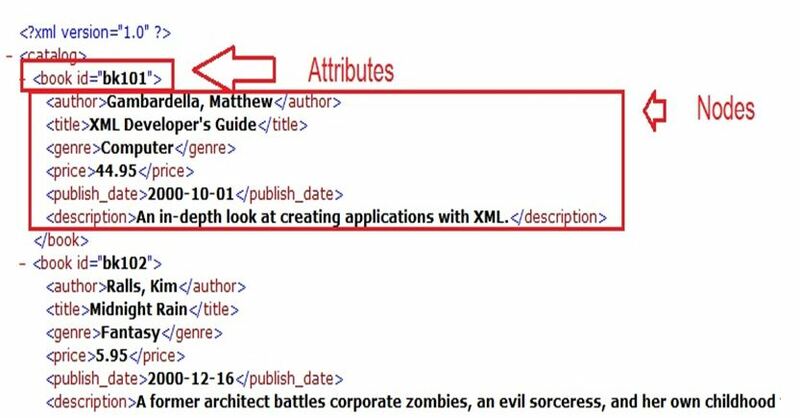 XMLFileName = “C:\Users\Sumit Jain\Sample.xml” —- updated this line. Shouldn’t there be another For loop to write all the data into the sheet? From your code (which works as previously seen), we only see the titles of each column. There is no data in them though – nothing from the XML file. I am using a XML file that is the same as yours – I just added a total of 12 books and retyped your screenshot. Maybe there is a reference I need? I am using Microsoft XML v6.0 too. I have just mailed you the files which i have used, try those. It works! Thank you very much for your help – I can learn a lot from this example! I am glad that this was helpful for you. You are always welcome here. Your appreciation means a lot. How do you write attributes into a certain cell? can you tell me why I am getting this. just checked, that line is working fine for me. That line is clearing the entire column A in sheet 1.
few quick point to check – make sure Set mainWorkBook = ActiveWorkbook is working fine. Please revert back if problem still persist. Thanks for posting this. Very useful for me to easily re-write to my needs. To answer the above question. It is not working if I copy paste from your code. To test your snippet I had to retype the above contents. I am glad that you find this post useful. I will re-check to make sure that further no one has to retype the code before using it. my Set main­Work­Book = Active­Work­book is work­ing fine in debugging. Can you please help me out for this. 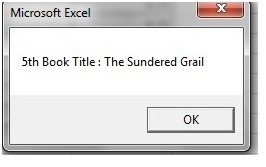 Thanks for the above it works perfectly, however the XML file I want to read into excel has a namespace and with a namespace the code doesn’t work..
updated the post as well, thanks for pointing out. Can you debug and tell which line has a problem? Did you add the necessary references? I always have Step Title and Status but comments is optional. So I ended up with uneven arrays and comments are not aligned with the proper steps using Comment = CommentNodes(i).NodeValue. Could you please help? Thank you sooo much! Perfect work, clear explanations, you just made my day! Thanks. This all works fine until I close and re-open my workbook. If I run the macro again, it deletes column A but does not add the info back in again… Any ideas? Apologies for the late reply. may be code for saving the changes is missing. you can add ActiveWorkBook.Save at the end. If this does not solve the problem, let me know. 230 queries in 0.107 seconds.